Saute grated potatoes in your oil of choice (I like coconut) together with some grated onion, salt and pepper. When potatoes are soft, add lots of chopped fresh kale. Pile it high and cover the potatoes, it will shrink a LOT. Stir and cook on medium heat until potatoes start to brown. Sprinkle with Worcestershire sauce and quickly reduce and incorporate the Worcestershire before serving. Optional: Pile them up in the middle of the pan. Break an egg on top and mix it in, forming a sort of hash brown patty held together by the egg as it cooks. Now you have a complete meal in one pan! Yum. Greetings Conway Locally Grown Community! The market closes tonight at 10pm. Go to conway.locallygrown.net/market to place your VOTE. Remember to hit the checkout button when you are done, and you will receive a confirmation email when your order is placed. We need a volunteer in Clemson today from 5-6:30 at the Arts Center. Reply back if you can help. 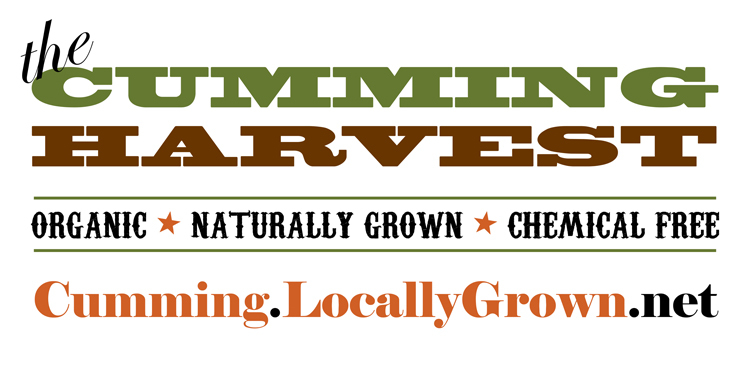 Tullahoma Locally Grown: Time to order Local Food! I hope you’re all having a great fall so far. I hope winter stays back as long as possible. I just don’t like the cold weather! We have a new grower on the market- Grundy Greens Farm- they are based out of Tracy City and grow hydroponic lettuce and mixed greens. The thing I love about hydroponics is that it produces such a clean and beautiful product. Not only that, but it’s tasty as well! Give their products a try- you won’t be disappointed. We still have honey, baked goods, meat, plants, and lots of other goodies. Healthy Harvest Breads has added back their Pumpkin Bread for the holidays. This is very moist and absolutely delicious. One of my favorite recipes. It makes a wonderful breakfast served warm with butter and a great gift for someone you know. Dogwood Valley Greenhouse is running two specials this week. 1) Buy 2, Get 1 free on all trade gallon pots of Perennials, Ferns, & Herb Plants from Dogwood Valley Greenhouse. Most are out of bloom now, but are strong, healthy plants, which will develop good root systems before cold weather. They are eager to burst into bloom in your garden next spring. Order your 2 plants as usual on the market, and in the comments section indicate your first & second choices of an additional free plant. Please be specific if there are 2 or more varieties listed (astilbe, carnation, etc.). 2) Also, purple Wandering Jew hanging baskets are HALF-PRICE while supplies last. Have a great week and I’ll seeya Thursday! Thank you for supporting your local farmers and artisans! I am sorry, but I will not be able to deliver the veggies that you ordered this month. The hard frost last night damaged the greens and herbs, and my carrot supply was (unbeknownst to me) greatly diminished by the appetites of my spouse and his coworkers. I apologize. I am hoping to increase my production of greens and veggies for next spring. We are offering you the opportunity to join our plattsburgh.locallygrown.net system this fall and pick up your goodies at Asgaard Farm in Ausable Forks. The market is open for ordering through Thursday, with pickup late Saturday or other time arranged with Asgaard. Hope you can join us, or come down to Plattsburgh to our Saturday Farmers Market in the City Recreation Center on the Old Base Oval, by the the Museums. Welcome back! We started the indoor farmers market three weeks ago, and with the longer evenings, are getting the online aspect of the market organized. For this first week, only Rehoboth Homestead products are listed. We were not excluding others, but all the vendors are really busy and I’m the only one who likes to spend time at the computer doing things like this. We will be opening the online market for orders on Monday nights. We will close orders at 6 p.m. on Thursday so the baker can bake, I can harvest and pack, and others can pack your orders. You can pick up your order at the market on Saturday, or pick up at either Rehoboth Homestead or at Asgaard Farm after 5 on Saturday or at a time you arrange with them. Please choose your default location in your account information. There is also a place to choose the location in your cart, but that needs to be done each time. Rehoboth Homestead had salsas, jams, vinaigrette, and pickles made with their produce. Please keep them in mind as you look for gifts this fall. Rural Resources : Pop, pop, popcorn!! We have delicious fresh and locally grown popcorn this week!! Just stick it in the microwave and watch it pop. Both children and adults love this kind of popcorn. It also makes great gifts for teachers and co-workers. Order fast as the supply is limited! !